Note from Matt & Betsy: All the information here on DIY Natural is free, and we encourage readers to make and sell these simple products if they wish! We get many questions about how to get started with starting a small business and selling these items. 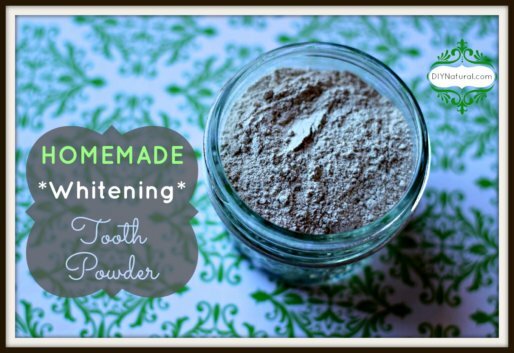 While we have never sold them, DIY Natural contributor Debra Maslowski has lots of experience taking her products to market. And she’s letting us in on some of her best tips today! Want to Sell Homemade Products? Many of you have started making soap, lotion, or other products because you wanted natural alternatives to store-bought. Maybe you gave some away as gifts, then you had people asking to buy some of the things you’ve been making. Or maybe you decided you want to sell your goodies at the local farmer’s market. Whatever the reason for taking your craft to the next level, here are some tips I’ve learned along the way as I sell my own products. Check out local markets before you decide to sell. You don’t need to be exclusive, but you also don’t want to be one of ten soap makers at a tailgate market. Do your research to determine if markets are worth your time and money. Check your local markets for booth costs and sizes available. Most smaller markets charge between $50 – $100 per show to set up a booth. I sell at one that charges $90/week and runs 24 weeks, which amounts to a very small cost per day. On the other hand, I’ve been invited to a larger local festival that charges vendors $300 for a weekend, and the booth size is 10×10. I found out it has been rained out five of the last six years. I determined it may not be worth my time even though several thousand people attend each year. and a disclaimer, such as, “This product is not intended to cure disease…” etc. Educate yourself on any local laws related to selling homemade products. While the federal EPA allows such things as citronella to be called bug repellent, my individual state law prohibits it. So I can’t call my bug-repelling product “bug repellent,” “Bug Off,” or anything of the sort. Now I just call it “The Spray” and let people decide for themselves. Be sure to have enough product to sell, but not so much that you have to take a lot home. It may take some time to gauge how much to bring. Ask other vendors to get an idea. Always be friendly to your customers – it goes a long way in helping win sales. You should also befriend other vendors wherever you are selling. I went to a market that had four other soap vendors, with one right next to me. We all had something different and there were always huge lines at our individual booths. We hugged and laughed and are now good friends. Put some thought into a theme and decorate your booth to draw the attention of buyers. In the past my theme has been “green,” all natural, and Earth based. Do what works best for you and create a cohesive theme with all of your labels, table covers, displays, and even booth decorations. Always put your best products in the front so they catch the eye. Place a bar in your customers’ hands when they approach. Ask what they think of your new bar. If they can touch it and smell it, they’re more likely to buy. Consider handing out samples. I give out small samples of my soap with a business card attached, and the name of the soap printed on the back. Give ample choices; if you have only three bars to choose from, you’ll get far less sales than if you have 12 types. Be prepared to answer questions about your product. What’s in your soap? Is it all natural? Do you use coconut oil? These are just a few of the questions I get on a weekly basis. And be sure to tell customers they can find the information on the label, brochure, and website, then make sure the information is there! Consider building a website that not only gives detailed product information, but also includes a shopping cart so products can easily be purchased. Two free websites are Webs.com and Wix.com. You can set up a limited cart and sell right from there. Create a brochure that matches the website and your overall theme. Have them available for your customers and add one to each bag with every sale. Collect customer email addresses at the very least, then send them new information at least quarterly. I let customers know when my seasonal soaps are available. I’m currently preparing a newsletter that announces my new fall line. It’s important to have a strategy if you’re hoping to make a profit. Check the market to see what others around you are charging for a similar product, then price yours reasonably. Be sure to include all materials, including your labor, when determining pricing. Your product ought to be really spectacular if your prices are high. I’m always careful to price my products very reasonably, in line with the competition, and high enough that I can make a profit. Take all payment methods. Most people carry cash, but many prefer using credit cards. There are many affordable options for vendors who accept credit, like Pay Anywhere, Square, and Paypal Here. Check the rates and be sure your phone or tablet will support the payment method. Set goals, but set them moderately. I set a goal of $1000 for a show once and barely made $500. I eventually realized $500 for one day really was good! Offer a product that’s unique to you. I have several soaps that no one else in the area has, just because I know they’re different. I’m continually making unique products so I have something that sets me apart. Add a sample to the customers’ bag to increase sales after the sale. I’ve found they will return about half the time to purchase the product they got to sample. Customers will make suggestions, so learn to take suggestions well! If you don’t have patchouli soap and someone suggests it, make some. It doesn’t matter if you don’t like it; your customer does. Fulfill special orders that may arise. This is a great way to earn customer loyalty. I have a customer at the tailgate market who orders 25-1 ounce bars of patchouli/citrus, and another who wants ¾ ounce bars of lilac. I fill these special orders and they continue to buy from me. Whatever you do, have fun! I make what I love and my customers have come to embrace it. Each week they ask, “What do you have this week?” It’s always something different. You can also have a stock set of products and make special things once in a while. 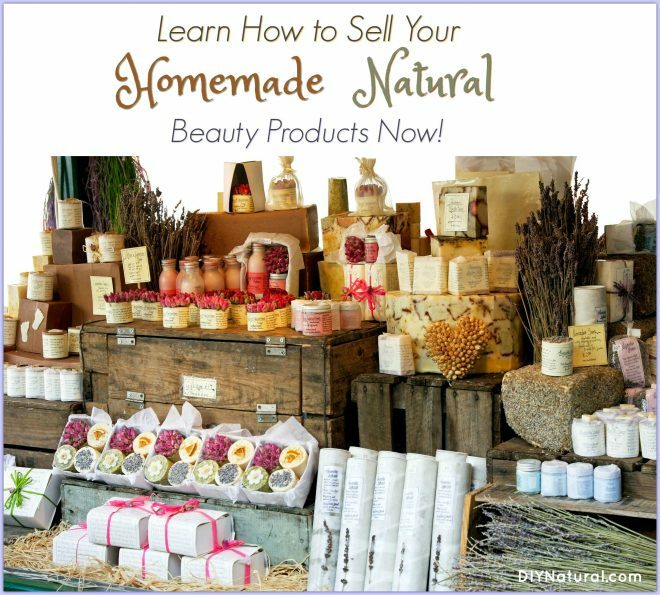 Have you started selling your natural products? Do you have any tips for others? If so, please share in the comments section! Very helpful important information. I love it. Thank you. Sorry for the late responses everyone. Computer issues! Here we go! Where can you buy professional labels that don’t cost a fortune? This has been my biggest stumbling block. I have searched and searched. You can do this yourself on your own computer with special labeling paper and an office program. I did it a long time ago, can’t remember all I did but if you know someone who can help you, you can make some nice looking labels. I use this site and it’s free to use. You just buy the Avery labels at any office supply or online and you can design your own and either have them print for you for a fee or you can do it yourself. Thanks everyone for helping out! Oh, the label debate. Avery does have really good templates. Your best bet is to either print them yourself or have them print them. I tried to save the labels to my computer and then send them to the printer I had lined up, but I ended up going through a PDF conversion as they only save as a .avery file. What a pain! There are also great sites that you can have labels printed and it won’t cost a fortune. Labels On Line and Labels By The Sheet are a few good ones. Thank you! Will check them out! Thank you for this article. Very enlightening for me. I make wash detergent. Thanks Jann! I just started making wash detergent too. It’s been a big hit around here. What I’m interested in selling is food. Yogurt (GAPS), ghee (grass-fed), salad dressings, etc. Can I make them in my kitchen or do I need a state-sanctioned kitchen? Check with your county to see if you need to rent a commercial kitchen or if you can make small batches at home without Health Dept. inspection. There are often specific rules for “Cottage Industry” products, such as dollar amount you can sell annually, if you can sell on the internet or not, specific ingredients (perishable foods like dairy, fresh fruit, etc. may not be allowed), etc. That is correct Janet. Odie I would do just that, check with your local city, county or state to be absolutely sure of your local regulations. You might want to check with the health department as well. Great article!!! Thank you 🙂 ….Do I need a license from the township to start selling my products? Good question! I’d like to know that too. Hi Miluska and Cheryl. This really depends on your locality. The small town that I live in doesn’t require a business license, but the nearby city of Asheville does. So I thought I didn’t need a license. I was wrong on two counts-I sell my products at a tailgate market that is in the city limits of Asheville and one of my clients requires me to provide my license. In this case, my tax ID number was enough to satisfy them. The bottom line is to always check with your city, state and county and then whoever you are selling to to be sure.